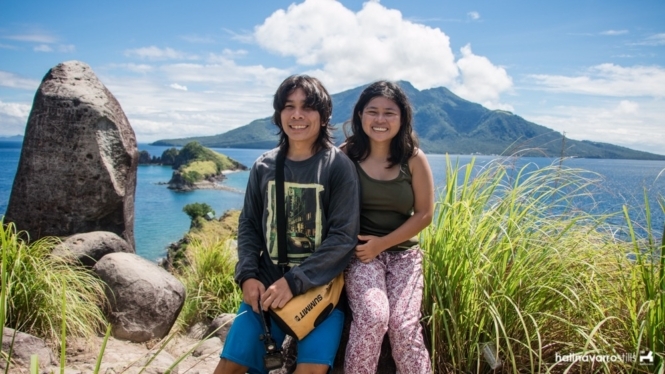 Last March, Hali and I took a few days off from the hustle and bustle of Manila to go island hopping in Biliran and see Sambawan Island in person. 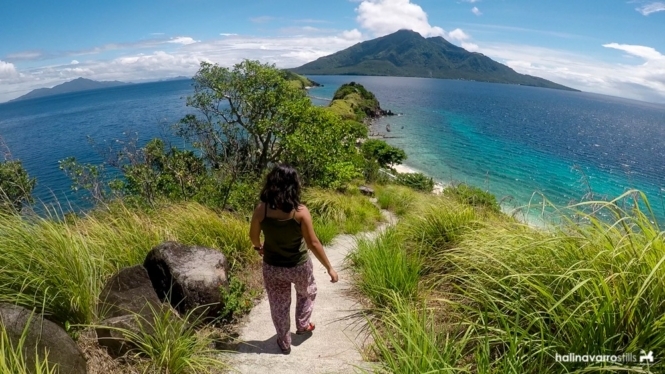 Here’s our experience including a guide to island hopping in Biliran at the end. 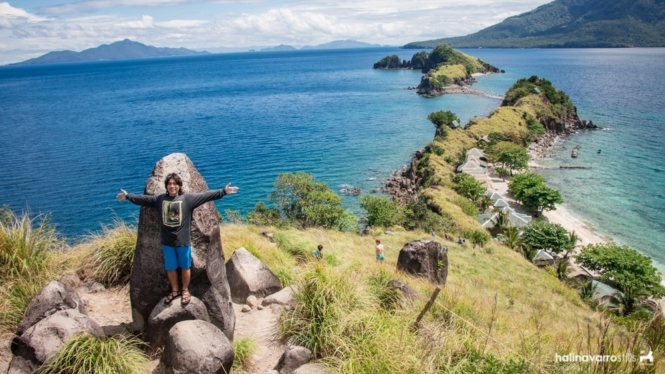 Most tourists only stop by Maripipi Island and Sambawan Island in Biliran. However, we were lucky to have found a joiner tour that covers all these: Tingkasan Bat Cave, Sambawan Island, Higatangan Island, Dalutan Island and Capiñahan Island. Due to time constraints, we weren’t able to visit the last 2 islands. 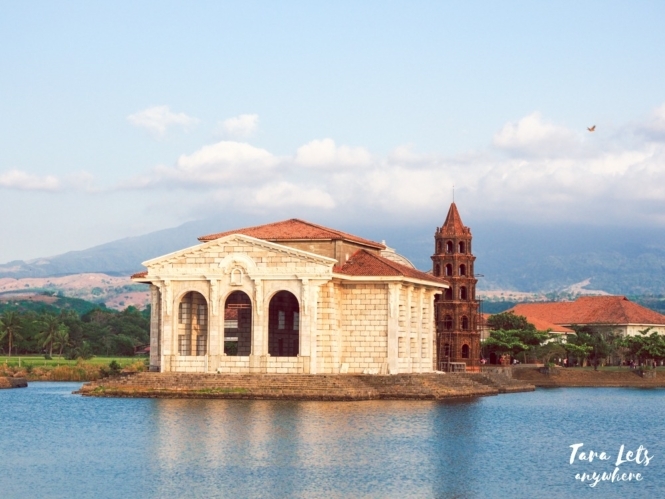 Some of the guests couldn’t do a little overtime since they were bound to Tacloban City the same night. Despite this, our tour was still very sulit and enjoyable. There are places that look better in photos, and there are those too beautiful to be captured in camera. Sambawan Island in Biliran belongs to the latter. I’ve seen a couple of photos of Sambawan Island before but had ignored it up until this point because the photos didn’t have enough pull. Picturesque, yes. But so are a thousand other locations featured in Instagram. But when we approached the island, I was awed. It wasn’t small as I thought it was. It’s actually composed of a few grassy islets. In its main island, there’s a wide beach that goes from an aquamarine to a deep blue and a small hill with a viewdeck at the top. There’s a cottage/watch tower in the viewdeck, where guests can stay to see the sunrise or sunset. There’s one resort in Sambawan Island. We also saw a few camping tents for backpackers and a row of cottages for those on a day trip. There’s also a diving gear rental office. Apparently Sambawan Island a popular dive site. Who knew? I guess it’s not that well known among local tourists because we’re not very much into diving activities. Our organizer told us to bring our snorkels here, so I guess there might be a snorkeling area around. We stayed here for maybe 3 hours, at the least. If I were to go back here, I’d definitely stay for an overnight. Did you know the Milky Way is always visible in Biliran? Well, according to Hali’s friend, that is. 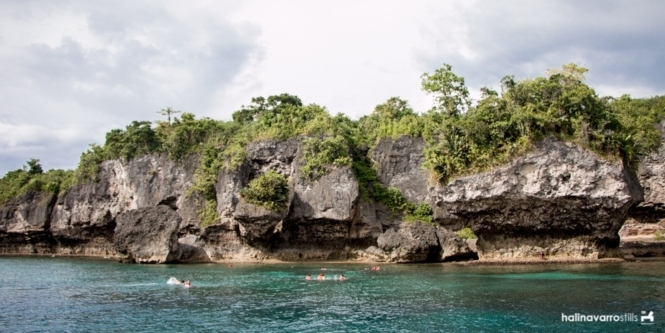 Tingkasan Bat Cave is a small sea cave located in Tingkasan Island. There’s nothing much to do here. 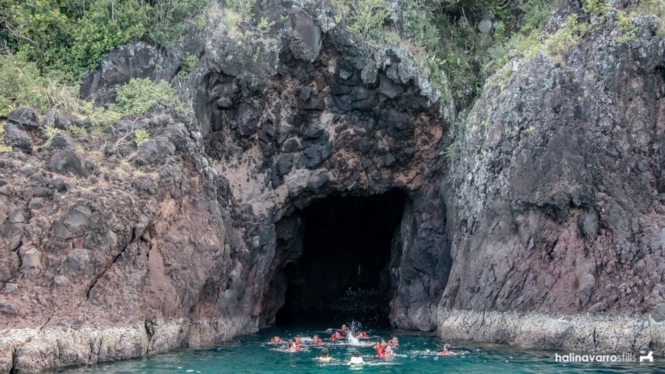 You can swim around and explore the sea cave in 15 minutes. There are small schools of fishes in the area and the water is clear. There’s an interesting beach at the end of Tingkasan Island, although we didn’t come up close to see what it’s like. Tingkasan Bat Cave is nice, all in all, but it’s too far that if it were up to me, I’d exclude it in a day tour. 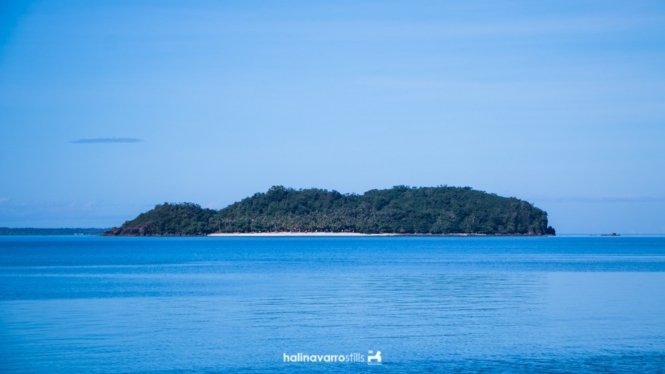 Higatangan Island is one of the more famous islands in Biliran. It has a beach resort for those who want a little exclusivity. 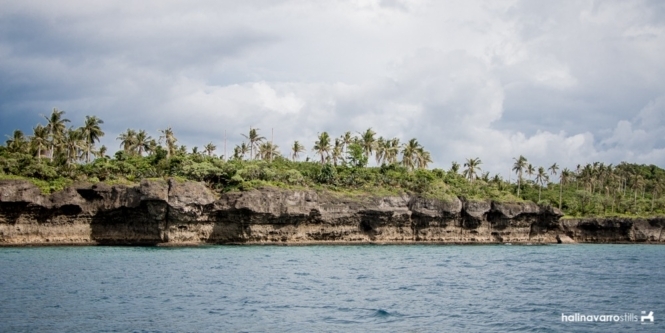 The island also has interesting rock formations and a snorkeling area where you explore a wide coral garden. I think I saw some coral species that seemed new to me. Hali snorkeling in the coral garden. Aside from these, Higatangan Island also has a long sand bar, which accordingly shifts its shape on different hours of the day. I find it disappointing. There’s a trail of trash in the sand bar, and we joked about it having shifting lines of trash instead. Is it being maintained? I don’t know. Higatangan Island seemed like a nice place to stay overall and we would’ve wanted to stay longer in the coral garden, but if I were you, dear reader, I wouldn’t get my hopes up in its sand bar. I really don’t have much to say about these two because like I said, we didn’t have time to explore Dalutan Island and we skipped Capiñahan Island. 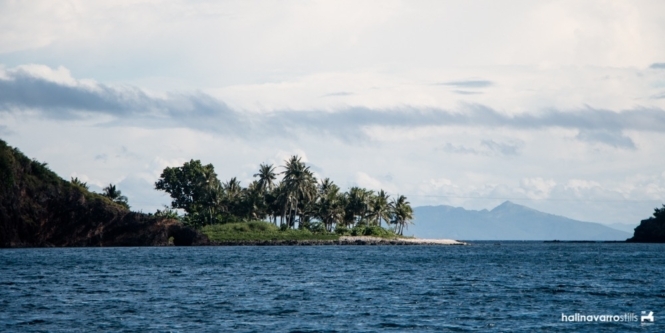 For info’s sake though, Dalutan Island is a small island with a rocky shoreline. 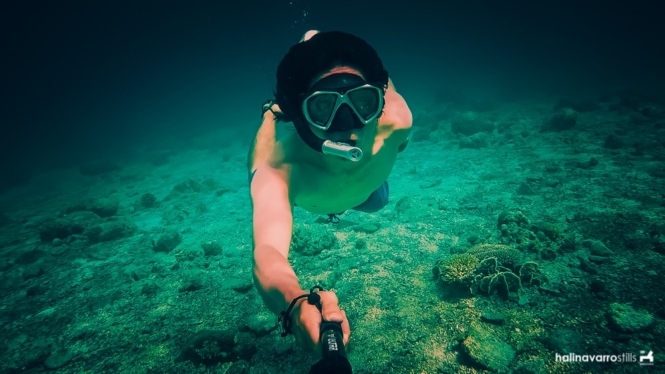 Apparently it has a rich marine life and visited by those who’re into snorkeling and diving, If you’re staying in Talahid, you can see it from afar. You can rent a boat from Talahid for P700. 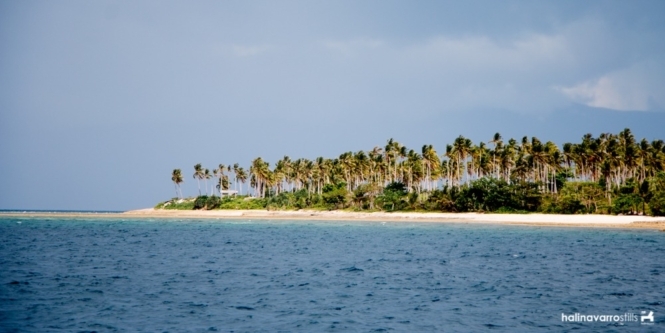 From what’s little of written about Capiñahan Island, it’s a bit similar to Dalutan Island. It has a white beach and not frequented by tourists. It seems like my type of hideaway. It’s too bad we weren’t able to make it here, although due to time constraint and the fickle weather we might not be able to stay long anyway. Overall, it’s nice to explore the islands in Biliran. A day trip is a cheap, convenient option, but if budget is not an issue, it’s probably best to stay 2-3 days here. From what I read, the rooms in Sambawan Island are a bit expensive, but there’s always the option of camping. Higatangan Beach Resort also seems interesting. 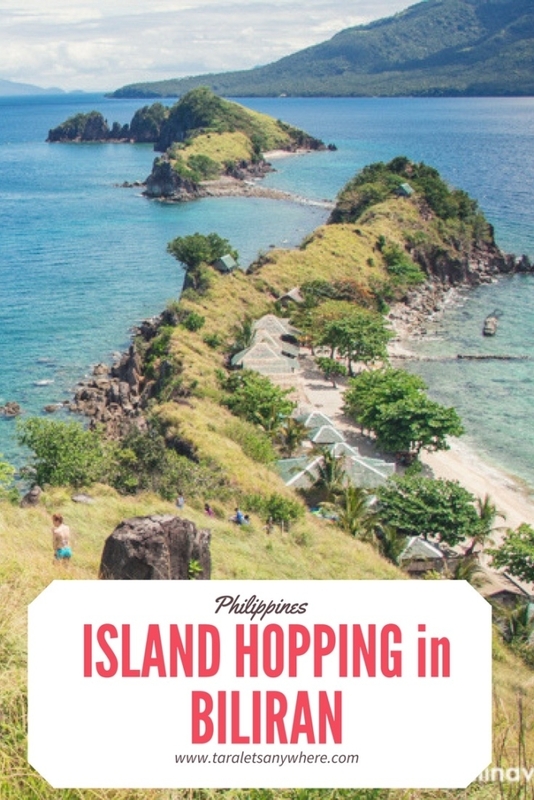 If you want complete details including the rest of the places we visited, you can check our travel guide to Biliran and Leyte here. Option A: Take the 10AM passenger boat from Naval port to Maripipi (P75 fare). Charter a boat to Sambawan Island (P500 round trip). The boat ride back to Naval port is at 5AM. Option B: From Kawayan port, charter a private boat to Sambawan Island (P1500-3000 round trip). 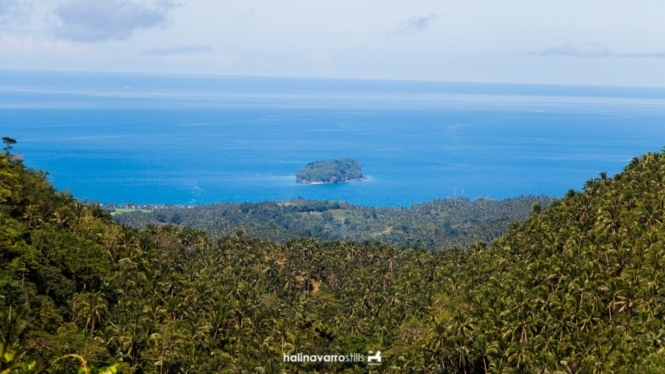 Option C: Charter a private boat for island hopping from Talahid, c/o Agta Resort. 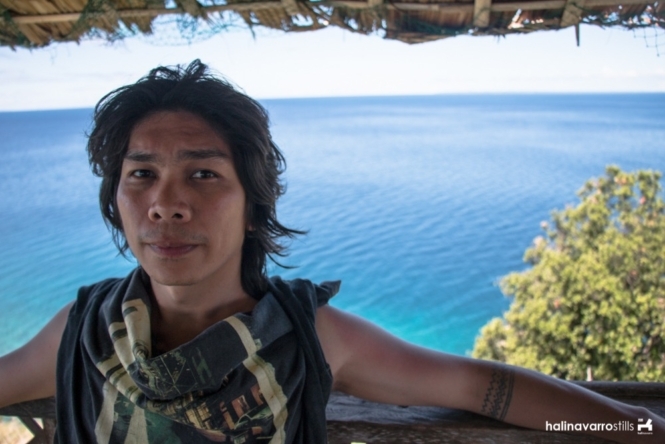 A round-trip boat to Sambawan Island costs P3500. Basically, if you want to charter your own boat to Sambawan Island, you need to shell out P3000-3500. Including other islands in the itinerary will surely add more to the cost, although I wasn’t able to ask for quotations. 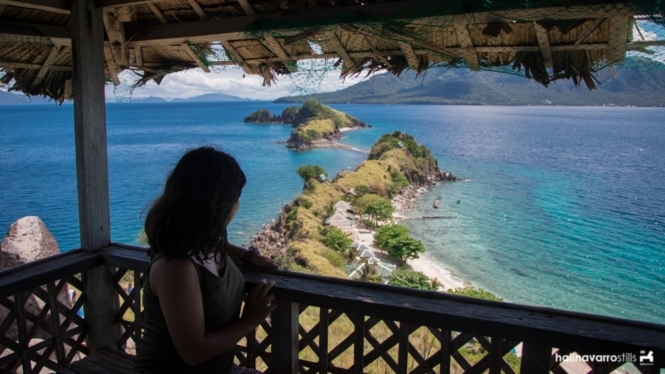 If you want to visit all islands in Biliran, you can charter a private boat as above or go on a joiner tour. I find the package sulit, especially considering the generous seafood buffet and the fact that we were able to visit places other than Sambawan Island. One of the cons of going on a joiner tour is that the itinerary may not be feasible in a single day. We were able to visit the first 3 islands. It was already dark when we arrived in Dalutan Island, and there was nothing else to do but take pictures. 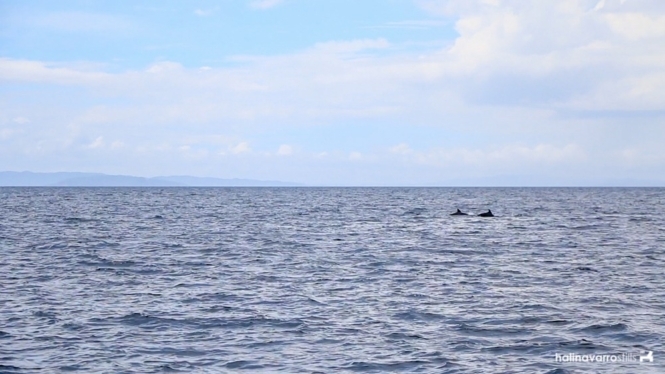 We missed Capiñahan Island altogether. Still, if you’re traveling solo or with a partner and can’t afford to charter your own boat for 2 days to visit all the islands, we’d definitely recommend this package as we were happy with the service and overall inclusions. I wonder if there’s more beaches or islands here to discover? How long is the boat ride to Sambawan? Planning to visit here June 13-14 for an overnight stop in Leyte. We’re just 2 so we looking to share the cost of a boat! Amazing! We’ve only been to Sambawan Island. 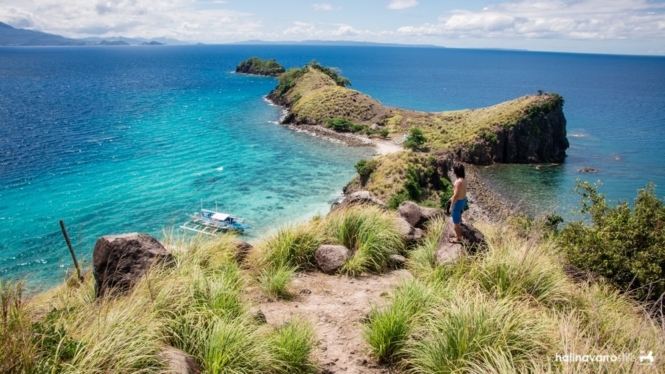 Putting these islands in our bucket list when we go back to Biliran for another canyoning adventure.